Every mother deserves a joyful, comfortable, and safe birthing experience. At Citizens Medical Center, we make your health and peace of mind our top priorities. Our labor and delivery specialists provide compassionate care and support before, during and after delivery. You will have everything you need for a healthy birth in our dedicated unit for expectant mothers, newborns and families. You may use the Small Steps Birthing Center entrance and parking lot located on the west side of the hospital. Using this entrance will help you receive immediate care and notify us of your arrival. Please ask your family and visitors to use this entrance, as well. Small Steps Birthing Center is located on the southwest side of the hospital. Pregnancy can be confusing and worrisome. 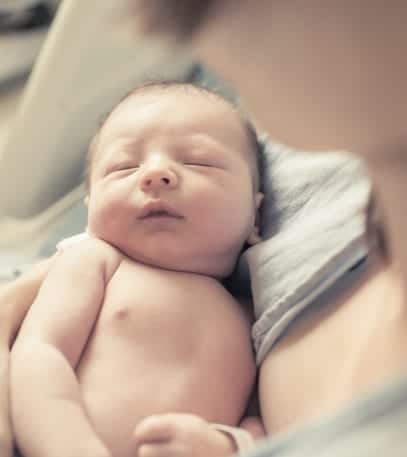 If, at any point, you feel you need medical attention, please contact an obstetrical nurse at (785) 462-7511 to let them know you are on your way to the unit. Please bring a photo ID and insurance card with you on every visit to the unit. Your delivery room team will include a medical provider, a nurse for mother, a nurse for baby, a respiratory therapist, and other personnel as required. If necessary and requested, we may use advanced comfort measures such as intravenous medication and epidural anesthesia. Your hospital stay may consist of several days to ensure both mother and newborn are healthy and recovering well from delivery. We encourage visitation between the hours of 10:00 am and 8:30 pm daily. Outside of the designated hours will be based on patient preference. Please do not plan to visit if you are ill; anyone with symptoms of an illness will not be allowed to visit the mother or baby. Siblings of the newborn will be allowed to visit, otherwise, no other children under 12 will be allowed in the Obstetrics unit. Quiet time is daily between the hours of 2:00 and 3:30 pm. We request that only one support person and sibling visit during this time in order to promote family bonding and rest. We will make every effort to accommodate patients requests. Please wash your hands before entering patient rooms and after exiting. Be sure to cover your cough or sneeze in your elbow. Please wait approximately two hours post-delivery before visiting, in order to promote family bonding. This is based on patient preference and patient wishes will be honored as requested.